We are a basketball family that accepts and embraces each member where they are but cares too much to allow them to remain the same. We strive to create an environment that will aid in player, and character development. We have an inside-out approach; we first develop internal confidence, character and a winning attitude which lays the foundation for external success on and off of the court. Press play to see us in action!! Nick Graham is regarded as one of the top player development specialists in the country, because of his attention to detail, game like development programs and his ability to understand and teach change of speeds. His hope is to identify and cultivate what makes each player valuable, along with addressing the weaknesses of each player and prescribing a player development program to eliminate weaknesses. He has worked with, trained and developed thousands of players of all ages and skill levels all over North America including NBA All-Stars, NBA champions, NBA first round draft picks, NCAA players of the year, NCAA national champions, NCAA All-Americans and High School All-Americans. Nick pictured with Olympic gold medalist DeMar DeRozan after they conducted a Spalding basketball IQ camp in his hometown of Los Angeles, California. Nick led camps for Spalding all over North America including NBA All-Star Weekend, North Carolina with Chris Paul and In Denver with Chauncey Billups. Along with developing hundreds of players who have played at the collegiate level he has also led elite camps all over the country including, the Hoop DFW Essentials camp in Dallas which featured the top high school players in the Dallas-Ft.Worth metroplex, Spalding Regional elite camps in North Carolina with NBA All-Star Chris Paul, Los Angeles with NBA All-Star DeMar DeRozan, and in Denver with NBA champion Chauncey Billups. Nick Graham and NBA star Karl-Anthony Towns during an event at the 2016 NBA All-Star weekend. He also led youth skills clinics for Spalding at the 2016 NBA All-Star game in which, he was joined by NBA stars DeMar DeRozan, Karl Anthony-Towns and D'Angelo Russell to provide aspiring players with NBA training. In the spring of 2016 Nick helped developed and starrred in Spalding interactive training videos, which launched globally on Spalding's True Believer website. He is currently the owner of AN'A basketball located in Denver, Colorado, but he trains players all over the country. 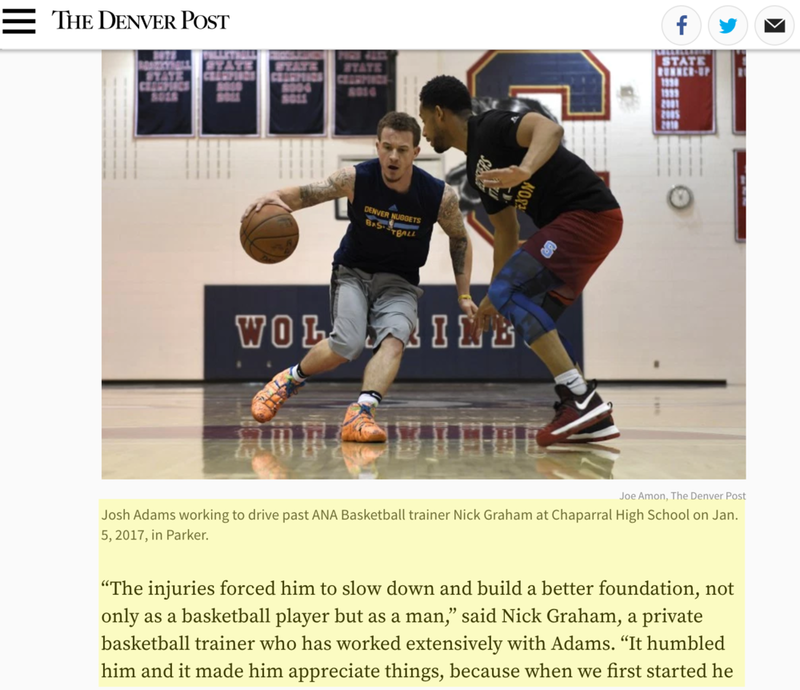 Nick Graham and Attitude N' Altitude has frequently been mentioned by many of the most prominent media outlets nationally. 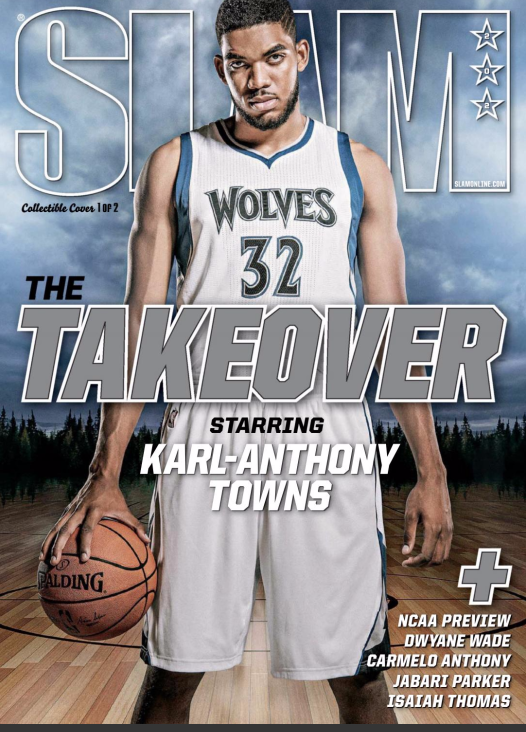 They include; Slam Magazine, Sports Illustrated, NBA.com, 1043 The Fan, KUSA NBC Denver, Altitude Television, FOX 31 Denver as well as the Denver Post. 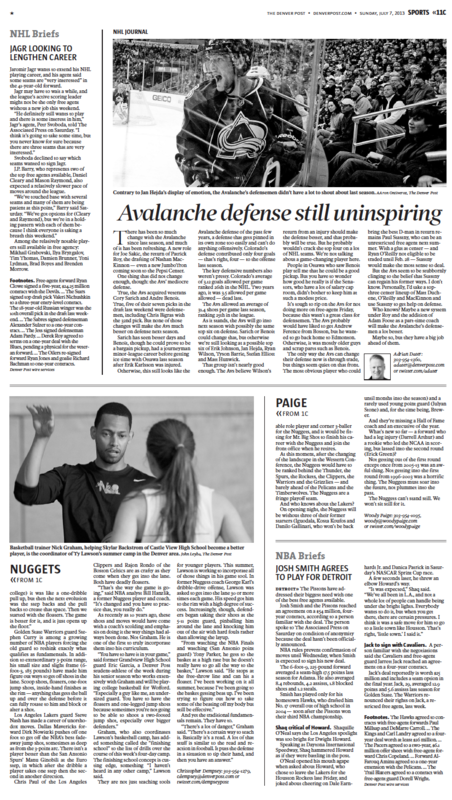 In 2013 the Denver Post featured Nick on the front page of the Sunday sports section. 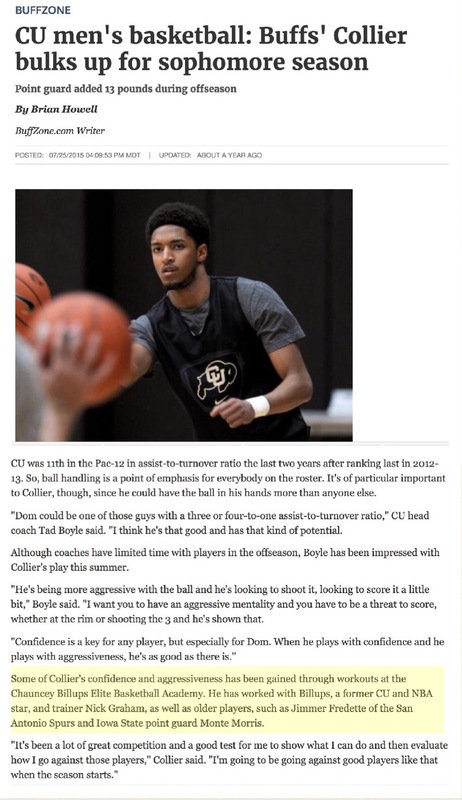 In a piece by Denver Nuggets beat writer Christopher Dempsey, titled "Basketball fundamentals becoming fancy" he chronicled Nicks ability to teach fundamentally NBA level finishing. Along with frequently being mentioned in the media Nick developed partnerships and been a brand ambassador for global companies such as Spalding and MusclePharm amongst others. Nick Graham's training has been mentioned or appeared on several television outlets throughout North America. They include Breakfast Today Toronto, NBA TV, Fox31 Denver, Altitude TV, 9News Denver amongst others.